Download for free the extremely popular drawing program Microsoft Paint. Are you looking for a drawing program that makes a lot of tools available to you for free, then Microsoft Paint is created with you in mind. The program is designed to draw, create and edit images, and you probably already know it. The program has existed for as long as Windows' operating systems are, and is therefore an almost indispensable program for all Windows users. You can make the most incredible illustrations from scratch with Paint from Microsoft, but also simply use the program to crop, for example, an image. In short, Microsoft Paint is a great program that is completely free to download. The program has a lot of tools that you can utilize in your creations. First of all, of course, there is the brush. However, this is available in many different variants, so you can organize the type of brush you want. For example, there are two different types of calligraphy pins, while you can also choose a watercolor or oil brush. You can also use the airbrush, which is a kind of spray can that imitates the way, for example, a graffiti can works. The brush can also be changed to a crayon or a marker that can be used over text. However, the brush is not the only tool Microsoft Paint gives you in your hands. There is of course also a regular pencil with an associated eraser. In addition, you will also find a color bucket that fills everything within a selected area with the selected color. You can also use the color picker, where you can click on any color on your canvas to select them. This is illustrated by a pipette. The last two tools in the box are the text tool that you can use to write on your image and the magnifying glass that can zoom in and out on a selected area. With the magnifying glass, left-click your mouse to zoom in, while you right-click to zoom out. When drawing something from scratch or editing an image using a drawing program, it is good to have many options. In Microsoft Paint you get the opportunity to use just the color you want. Of course, there are a number of predefined colors that you can choose from, but in addition, you can also choose to edit them so that you hit exactly the color you need. It can of course be a bit difficult to draw with a mouse, and therefore Microsoft Paint also makes a number of form templates available to you. This makes both your job easier, while also saving oceans of time. The shapes can be modified as you wish, where especially the undulating line can be useful. Among the forms you will also find two speech bubbles as well as a think bubble. Of course, these lie in the fact that Microsoft Paint can make their own comics. Thus, you can create illustrative stories without having to back with a lot of other programs. One of today's most popular internet tools is gypsum. The small animated image sequences are often used instead of text when people on social media respond to something. In Microsoft Paint you can make all the image sequences, after which you just have to collect them, which can be done for free on various internet pages. All you have to do is make the many different frames of your desired gif, then save them in Gif format. These can then be merged, which, as mentioned, requires another program. Of course, you can also save in all the most popular image formats. These include BMP and TIFF as well as the most frequently used PNG and JPEG. In 2017, a new version of Microsoft's drawing program Paint was released. This was named Microsoft Paint 3D. This program contains many of the same toolsIt's like the classic Paint, while the biggest novelty was the addition of 3D models that can be imported and modified by the user. Immediately after the program's release, it faced the classic Paint on various Windows computers. However, this prompted much criticism from supporters of the classical program, which resulted in Microsoft deciding that both programs should be accessible to everyone. Paint is developed by Microsoft for computers running on their Windows operating systems. Therefore, it is not possible to download the program to, for example, Mac and Linux. However, similar programs exist for these operating systems, which can be found on the Internet and in app stores. Paint has existed ever since Windows 1.0 back in 1985, and the program has been on Windows computers ever since. Therefore, it is also compatible with all Windows operating systems. Microsoft Paint is an excellent program for drawing or editing images in. The program provides you with a variety of tools including a pencil, a color bucket, an eraser, a color picker, a magnifying glass, a text tool and more. Among other things, you can also make use of the nine different types of brushes that you can freely choose from, while the program also has a number of form templates that you can greatly benefit from. For example, there are two types of speech bubbles and a think bubble that you can use to create comics. You can save your pictures and drawings in all the popular image formats like PNG and JPEG, ensuring that the quality of your creations remains as high as possible. In addition, you can also save in gif format, which allows you to create your own gifs that can be used on social media, in mails or on the internet forums. In addition to this classic version of Microsoft Paint, Microsoft has in 2017 developed the program Microsoft Paint 3D, which, in addition to the tools of the classic Paint, also includes 3D models that users can modify as they wish. 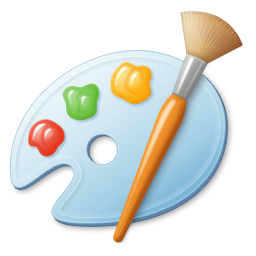 Paint is an almost invaluable tool for all Windows users, as the program can be used as a drawing program while it can also be used to crop images or process screenshots. Find Microsoft Paint, mark it and choose "Uninstall"
Should Microsoft Paint has been damaged or corrupted and thereby difficult to remove we can recommend you finding help to uninstall it here.